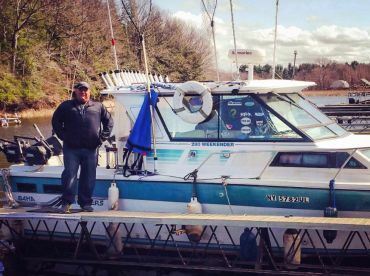 Oswego River fishing offers year-round opportunities for over 45 species of game and panfish. Even though Lake Ontario eclipses it in size, the Oswego River is home to more fish than any other Great Lakes’ tributary. From championship Bass and Salmon to migratory Steelhead, there is always something biting. 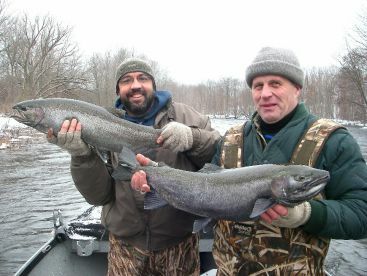 It’s easy to get overwhelmed by the list of potential catches in the Oswego River. It is home to the majority of freshwater species that you can even name. 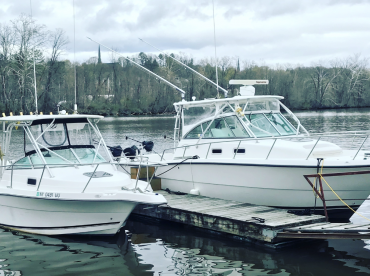 Anglers catch Chinook and Coho Salmon, Walleye, Smallmouth and Largemouth Bass, Northern Pike, Steelhead, Brown Trout, Yellow Perch, Channel Catfish, Sheepshead, and many more. 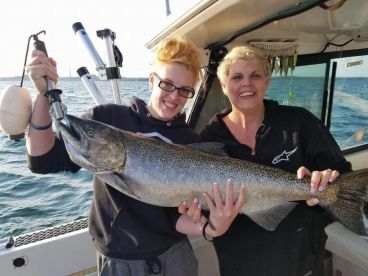 The river is most generous in springtime when anglers can encounter any species of fish from t Lake Ontario itself. April and May are rich with Steelhead, Brown Trout, Catfish, Freshwater Drum (Sheepshead), and Yellow Perch. Summertime is great for Largemouth and Smallmouth Bass fishing. Walleye fishing is also on fire during the summer months. Fall is great for trophy Salmon lovers. Large schools of Chinook and Coho begin staging at the river mouth. As the waters cool down, they begin to enter the river. 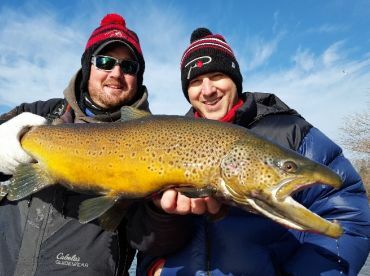 Brown Trout and Steelhead don’t keep anglers waiting. They enter the river shortly after Salmon. Steelhead remain in the river during the winter months. 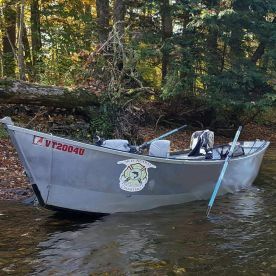 How to fish in Oswego River? The beautiful Oswego River begins at Three Rivers, goes through the city of Oswego, and empties into the mighty Lake Ontario. The first dam in Oswego blocks the fish migration upstream. It goes without saying that this is the hotspot for all the river’s fish! Wading below the dam can be difficult. The Oswego area has a large number of experienced and professional guides. The area holds a large fleet of boats so finding a local captain won’t be a problem at all. 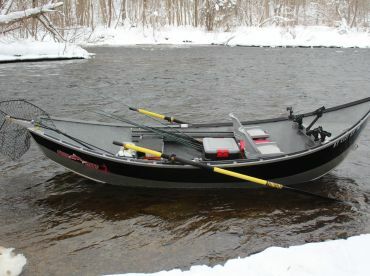 The majority of the river guides prefer fishing on drift boats. These ‘water taxis’ allow you to cover much more water on your trip, which makes a big difference. 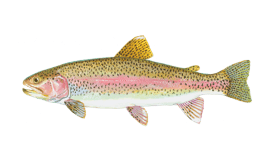 Spring and autumn Steelhead is usually caught on egg sacs, worms, plugs, and egg-imitating plastics. 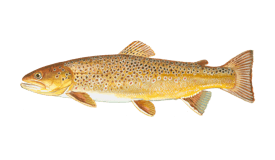 Brown Trout hang out at the river’s mouth and can be caught by casting with spoons or trolling stickbaits. Summer provides great Bass and Walleye fishing. Smallmouth and Largemouth are usually caught on artificial bait, such as plastic, crank, and spinnerbaits. Live bait can also produce good results if you use crayfish, minnows, and worms. Troll for Walleye after dark for greater results. Early fall is good for large schools of trophy Salmon that stage at the river mouth. Troll for them with flashers, cut-bait, and J-plugs. 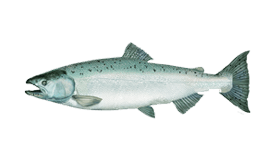 As the water cools, Salmon enter the river and can be caught with egg sacs, skein, plugs, and egg-imitating plastics. When Trout enter the river shortly after Salmon, they can be caught using the same technique. 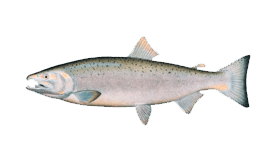 During the winter months, you can fish for Steelhead after a few days of mild weather. Find deeper holes or slack water areas and bottom bounce eggs sacs. If you are a fly fishing enthusiast, head to the north side of the Oswego River. The local guides generally prefer using a floating fly line, a weighted fly, and a leader. It’s very common to hook Steelhead and Brown Trout!